Ian Cotner is AT&T's Regional Director of External and Legislative Affairs. 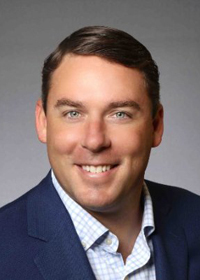 He is responsible for coordinating AT&T's political, legislative and community affairs in Palm Beach County and the Treasure Coast, as well as Glades, Okeechobee and Highlands Counties. Ian has over a decade of experience in campaigns and legislative affairs, and has been practicing law for more than five years. Before joining AT&T, Ian served as the Director of Legislative Affairs for the Florida Department of Children and Families and in the legislative offices of former Majority Leader, Adam Hasner, and a former Speaker Pro Tempore of the Florida House of Representatives, John Legg. During his career, he has also worked for some of Florida's premier governmental consulting firms. Ian completed his undergraduate studies in political science at Florida State University in 2002. He went on to graduate with honors from Florida Coastal School of Law in 2008. In law school, he was the recipient of the Governor's Merit Scholarship and served as the President of the Student Bar Association. Ian practiced appellate law at the Florida Office of the Attorney General, and handled insurance litigation at the statewide law firm of McConnaughhay, Duffy, Coonrod, Pope and Weaver, P.A. Immediately prior to joining AT&T, Ian ran his own law and political consulting firms in Stuart and Tallahassee. Currently, Ian services on the Boards of Directors for the Economic Councils of Palm Beach, Martin and St. Lucie Counties. In addition, he serves on the Boards of Directors for the Education Foundations of Martin and St. Lucie counties. He also serves on the Board of Directors for the Chamber of the Palm Beaches, and is a Trustee of the Palm Beach North, Stuart/Martin, St. Lucie and Indian River Chambers of Commerce. When he is not working, Ian enjoys sailing, fishing, traveling and spending time with his family.